Use this checklist before you make an offer. House hunting can feel like an adventurous new chapter in your life, and its easy to fall in love with a property at first sight. 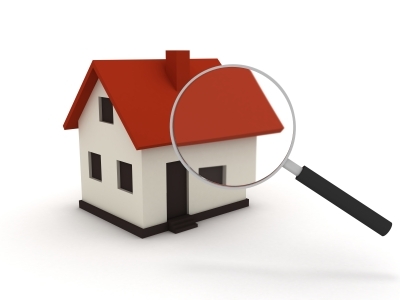 But before making an offer on any property, its smart to take a deeper look to sure warning signs of major and costly problems are not hiding in plain site. 1. Exterior – walk around all four sides of the house, scanning it from ground to rooftop. Note the condition of the doors and window frames, and look for cracked or peeling paint or signs of loose siding. Check the gutters and make sure the chimney appears straight and is in good condition. 2. Roof – Ideally the roof would be 10 years or less. (A home inspector can confirm if the home needs a full roof replacement). 3. Yard – Is there a slope angled away from the house, or is there a potential for a flooded basement after a hard rain? Note the condition of the driveway and sidewalks. 4. Foundation – A few hairline cracks in the cement is no cause for panic. Do look for telltale signs of serious issues, such as widening cracks, water stains or bulges. 5. Plumbing – Check basement and undersink pipes for signs of leaks, and scan all ceilings for water stains. Open all faucets to check water pressure and assess how long it takes for the hot water to heat up. 6. HVAC System – Know the age of the heating and cooling system. If the systems are older than a decade, that can spell costly repairs. 7. Appliances – Note the age and condition of the refrigerator, over and range, washer/dryer and hot water heater. Older appliances tend to consumer more energy and you’ll likely face a shorter timeline for repairs and replacements. Deadline For Filing: In most counties, the application must be filed by March 1st of the year the exemption is sought, but some counties have a later deadline. How Long Will The Homestead Exemption Last? The Homestead Exemption will remain on the property until there is a change in ownership. 1. Pay down your debt. And while you’re at it, check your credit score and look over your credit report. Focus on paying down your credit cards, paying your bills on time and raising your credit score. (A score of 720 and above is generally considered good, and 750 to 850 is excellent). You want your future mortgage lender to like what it sees when it comes time to request a loan for a house. 2. Have money in the bank. Most experts suggest that you have at least 20 percent of the house’s purchase price saved as a down payment. You can certainly buy a house without that – and many people do – but there are plenty of good reasons to put down at least 20 percent. For starters, you’ll almost certainly avoid paying private mortgage insurance, or you won’t have to pay it for long. PMI is typically 1 to 2 percent of the value of the loan, split into monthly payments. It may not seem like much, but if it adds, say, $100 to your monthly mortgage payment, you can see why you’d like to avoid it. 3. Fine-tune your budget. Regardless of what you have in the bank now, this is a long-term, year-after-year, month-after-month expense you’re going to take on. So prepare your budget now so that you don’t encounter surprises down the road. 4. Think about how you’ll pay for the house. Will you take out a fixed-rate mortgage or an adjustable-rate mortgage? With an adjustable-rate mortgage, you’ll get the lowest rate available – but then it will adjust after several years, often based on an index, like the Cost of Funds Index. The main point here is that your payment with an adjustable-rate mortgage won’t stay the same. But the interest rate for an ARM is low, and if you believe you aren’t going to live in your house for long, it might be a good fit for you. Some ARMs also have a limit on how much they can adjust, which may make them more appealing. 5. Consider the length of your home loan. Most homeowners go with a 30-year mortgage. Others try for a 15-year loan or somewhere in between. A 15-year loan is a shorter-term loan, and you typically get a much lower rate than a 30-year loan. For example, if you were to take out a 15-year mortgage now, the average rate is 3.25 percent; for a 30-year mortgage, it’s 4.14 percent. 6. Start gathering paperwork. Start gathering your federal income tax records for the past couple of years, recent paycheck stubs, canceled checks for rent or utility bill payments and any other paperwork a mortgage lender might want to see, like credit card and student loan information. 7. Scout out where you want to live. It isn’t enough to think you want to live in a certain geographical area, like the west side of the city, or the east side. Consider tax rates, which will be different in different communities. Community HOA fees or dues is another consideration. 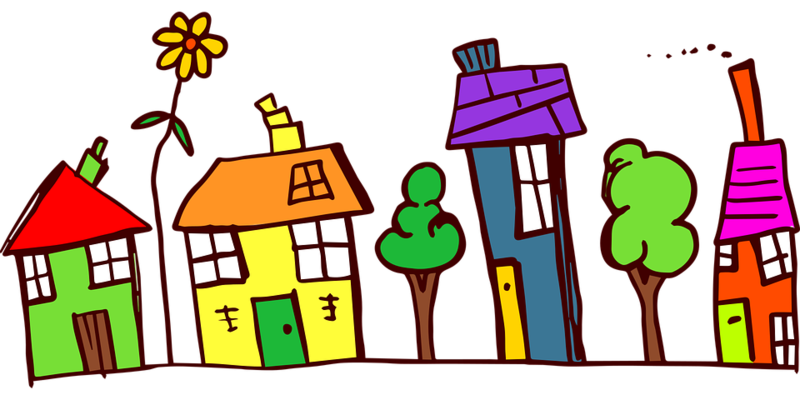 There are some neighborhoods you may not be able to afford, so it’s good to get a sense of that early on to avoid experiencing a huge letdown.